Our Diploma and Qualification courses within beauty, nails and make-up in Reading are run from the beautiful grounds and facilities at Shinfield Grange. Easily accessible, from Reading and the M4 via the Shinfield Eastern Relief Road; the centre offers a wide range of beauty therapy training courses. From the signposts for University of Reading; heading southeast on Shinfield Road/A327. At Black Boy roundabout, take the 2nd exit continuing on the A327 (signposted Aldershot). As you travel over the University Bridge, take an immediate left at the traffic lights. This will take you onto the Shinfield Eastern Relief Road. Follow this road round until you arrive at a roundabout. Take the 2nd exit (straightover) the roundabout and continue on Shinfield Eastern Relief Road taking a left onto Cutbush Lane East. Travel along Cutbush Lane East taking the 2nd right hand turn onto the stone driveway type entrance road marked with a sign for Shinfield Grange. At Junction 11, branch left and keep in the middle land, then bear left onto Whitley Wood Lane (B3270) (signposted Earley). Continue until you arrive at Black Boy roundabout. Take the 3rd exit onto the A327 (signposted Aldershot). As you travel over the University Bridge, take an immediate left at the traffic lights. This will take you onto the Shinfield Eastern Relief Road. Follow this road round until you arrive at a roundabout. Take the 2nd exit (straightover) the roundabout and continue on Shinfield Eastern Relief Road taking a left onto Cutbush Lane East. Travel along Cutbush Lane East taking the 2nd right hand turn onto the stone driveway type entrance road marked with a sign for Shinfield Grange. At Junction 11, branch right and keep in middle lane, pass through 2 sets of traffic lights keeping to the middle lane around the junction. After the 3rd set of traffic lights, bear left onto Whitley Wood Lane – B3270 (signposted Earley). Continue until you arrive at Black Boy roundabout. Take the 3rd exit onto the A327 (signposted Aldershot). As you travel over the University Bridge, take an immediate left at the traffic lights. This will take you onto the Shinfield Eastern Relief Road. Follow this road round until you arrive at a roundabout. Take the 2nd exit (straightover) the roundabout and continue on Shinfield Eastern Relief Road taking a left onto Cutbush Lane East. Travel along Cutbush Lane East taking the 2nd right hand turn onto the stone driveway type entrance road marked with a sign for Shinfield Grange. From the main entrance of Reading Station head towards the town centre. Take the 144 bus to Wokingham from Stop EB. Get off the bus opposite the Black Boy (Stop ID). Just past the Black Boy on the opposite side of the road is Cutbush Lane East. Follow Cutbush Lane East for 800 yards, Shinfield Grange is on the right-hand side. Our diploma and VTCT beauty, holistic, nail and make-up courses in Reading are run at our well-equipped and beautifully-presented beauty school located in Shinfield, set in a quiet, beautiful location with ample parking and reception area, making it easily located and accessible by car or via public transport from the main city. 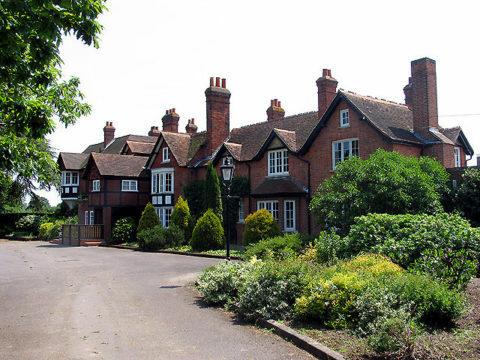 Our popular training centre in Reading is found in Shinfield Grange, a beautiful and scenic area often used as a wedding venue, providing the idyllic location to complete your training with us, whether it be in massage, make-up or nails. The picturesque location boasts bright and spacious training rooms, well-lit with large windows overlooking the grounds, well-equipped with modern equipment for our students to use. There is parking available at the training centre; we recommend travelling there via car however public transport/taxi options are available.